We value our patients' experience at Eye Land Optometry. 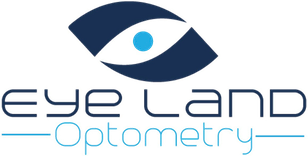 See for yourself, the great success our patients have experienced here at Eye Land Optometry. "First off I would like to say my experience was great, the Dr are amazing! Staff is great! I have to tell a situation on how it was handle, I got my first pair their and the frames was too big kept falling off, then they help with them, they tried everything nothing work they suggested a smaller frame it was good. The glasses ended up breaking after about a month which was weird. They fall off my face today and broke. This was my 2nd pair, I called them today and they had me come in I showe"
"Came in for my yearly eye exam and was seen by Dr. Turner, she was thorough with my exam and took her time to examine me. The girls in the front desk are very friendly and explained my insurance benefits clearly since I had no idea of how my insurance worked. Will definitely return"
"The day before 4th of July, I stumbled upon Eye Land Optometry to see what kind of sun glasses they carry for the summer. I was greeted with amazing customer service to begin with! I was shown different types and brands of sun glasses.Even eye glasses were shown to me just in case I needed them.The woman @ the front desk(I think her name is Liz? )(and another lady @the front desk Yuki? )was so knowledgeable and kind that she/they literally put a smile on my face! If you ever need sun glasses,eye g"